Some of our readers will remember the Asus EEe PC T91 netbook which is now available, and has now had the hands on treatment from a few of our favourite sites. As a reminder it comes with an Intel Atom Z520 1.33GHz processor, 1GB of DDR2 RAM, with the option to upgrade to 2GB, and a 16GB SSD plus a 16GB SD Card for extra storage as well as 20GB of online Eee storage. It comes with an 8.9 inch touchscreen LCD display, and and Windows XP Home, check out some of the hands on reviews of the Asus Eee PC T91. 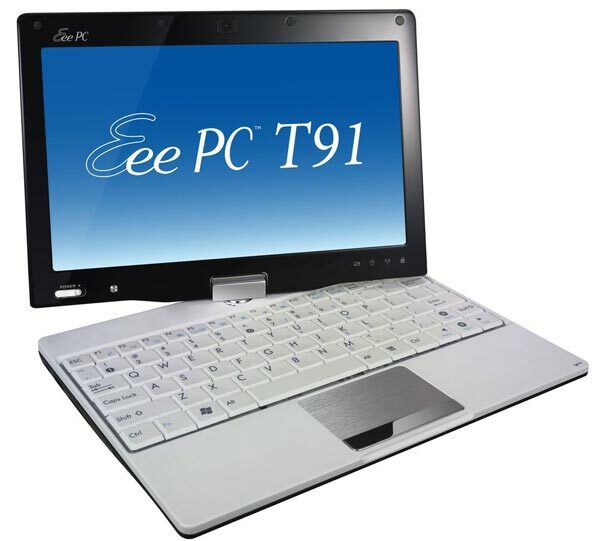 The Asus Eee PC T91 is now available for $499.99 from Amazon .